I've been working on the website lately to add all sorts of new items. You can find most of them on my Etsy shop as well. I've listed a few of the new items above. I've added a ton of earrings and some bracelets $10 or under that would be great stocking stuffers. It's not too late to order. 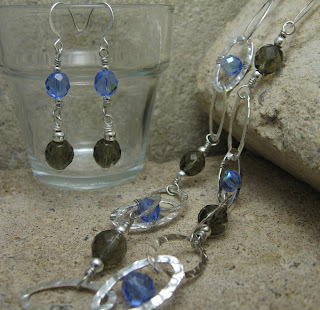 The smoke and sapphire necklace had hammered links connected by handmade wire links of smokey quartz crystals, and features light sapphire colored crystals wired into some of the links for a bit of color. 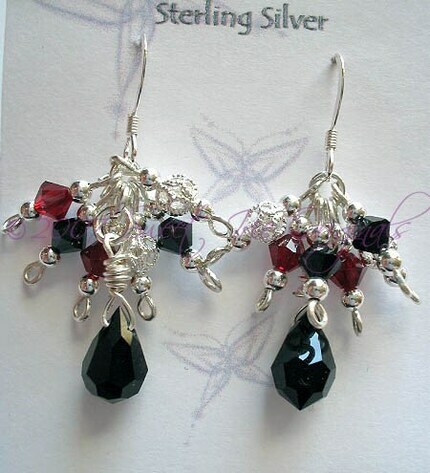 The matching earrings are also available. Alternate Bliss features a variety of mixed media art to hang on the wall or to wear. 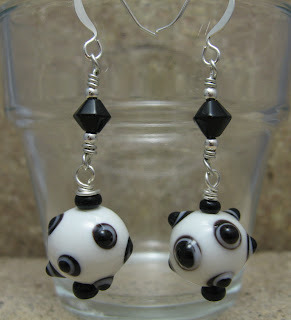 Right now she is focusing on making fine silver jewelry, Watercolors, and Art Charms featuring her artwork images. Currently she has two Etsy Shops. One for her art, and one for her charms. In her Alternate Bliss shop (alternatebliss.etsy.com), you'll find her jewelry and art. The first is 1980’s protest song 99 red Balloons by Nena. The second is the movie, “Le Ballon Rouge,” a short film directed by French film-maker Albert Lamorisse in 1956. This film follows the adventures of a young boy who finds a large, red balloon throughout the streets of Paris. In their wanderings around Paris, the young boy and the balloon encounter a gang of bullies, but tragedy is replaced by a magically happy ending. 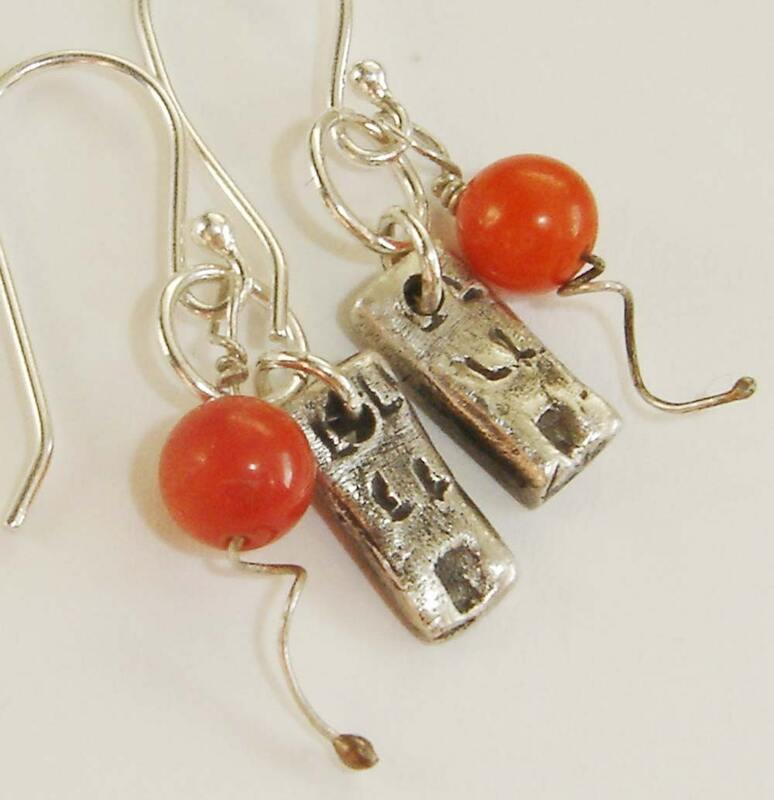 This necklace and earring set feature features a hand sculpted cityscape with three city buildings and a red balloon made from sterling wire and red coral beads. I carved, sculpted, filed, sanded, and darkened this piece by hand. Her second shop, Popblossom.etsy.com contains handmade charms that are a combination of graphic design, plastic, and resin. 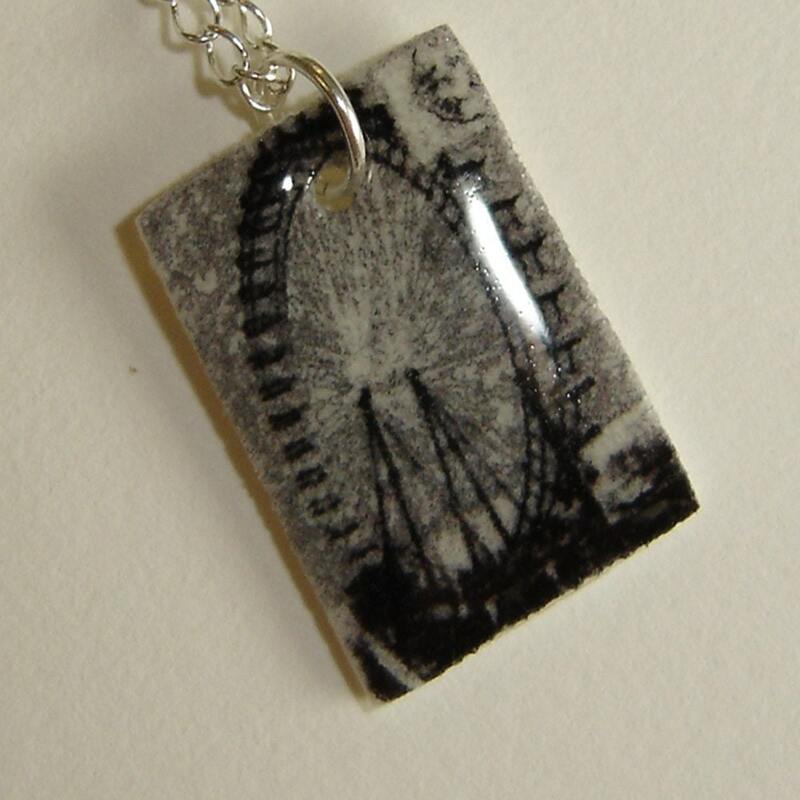 This charm features a black and white image of a Ferris Wheel taken from a copywright free image and altered digitally. It is a combination of one of her graphic designs on plastic and sealed in a hard clear resin. This is Charm 7 in Pop Blossoms Series 1 Charms. Only 50 charms with this exact design will be produced. 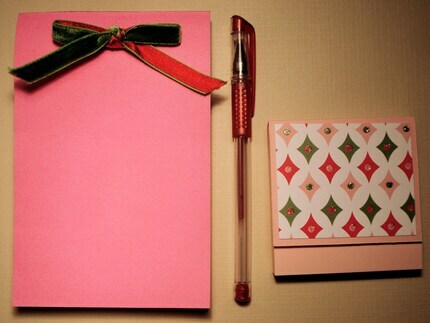 Stop on by her shops for some Christmas shopping, and be sure to check out her blog as well. Our First Monday Sale with Etsy Texas Crafters went so well that we are going to be doing other Monday promotions/sales now. This coming Monday (Dec 10) we will be having a Treasure Hunt. Hopefully, each month, the treasure hunt will have a different theme. This month, the theme is "Stocking Stuffers". Our December Treasure Hunt will begin at 12:01am on Dec 10Th & end at 12:00 midnight on that same day (Central time -- that would be 1:01am Monday to 1:00am Tuesday, Etsy time). 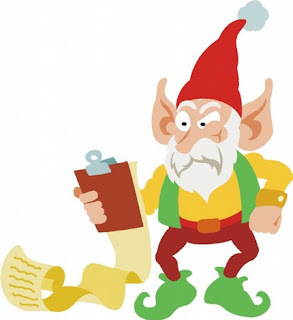 To play, search participating ETC member shops to find a minimum of 10 items with the designated image in the items' photos (Percival, the Elf--shown above). If there is more than 1 correct entry, by the midnight deadline, all correct entries will be placed in a stocking & one winner will be drawn. If there are no complete correct entries, the person with the most correct entries will be designated that month's winner. Winner will be notified/announced no later than midnight on Tuesday Dec 11Th. ETC members are not eligible to win. Tip: The more items you find and submit, the better your prize selection will be. The winner will get too *choose* 1 item from their submitted list as their prize! Disclaimer: In the event that the winner’s 1st choice of prizes sells during the contest, winner would have to choose another prize from their submitted list. Meet Katie, the artist behind Knuckle Toes! She tries to make her clothing and purses out of recycled materials. Anything from tablecloths, to pillowcases, to reused LP record covers. This not only gives her items a vintage feel, but it helps the environment, and what more do you need? She enjoys spending her weekends and evenings at the local pub with her friends and family. She is also in business with her partner in crime, where they sell handmade clothing, jewelry, and purses (made from recycled material) at local folk festivals in the summertime. 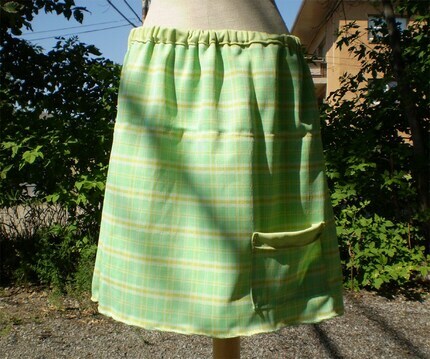 The green plaid skirt pictured above is made from old tablecloths. It is a lime green with a yellow and orange plaid design on it. This shop has been devoted to all of her messing with vinyl. From sketchbooks, to CD books, to purses and bowls, old unusable LP's can be made into anything, and how cool is it to recycle? 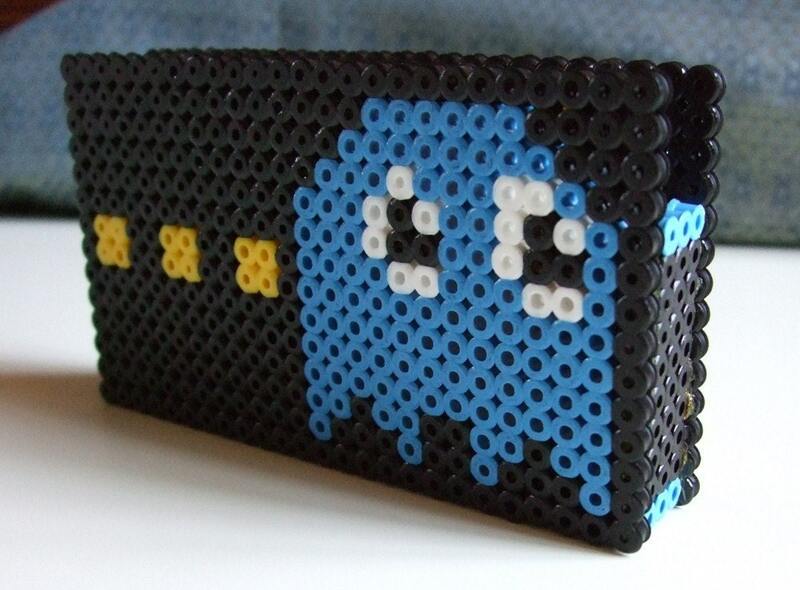 This cute purse was made from the cover of an old LP! 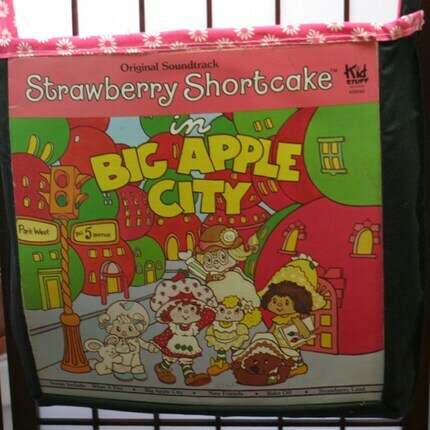 Strawberry Shortcake came back with a smash, and this purse totally celebrates that. The LP cover has been coated on both sides with a waterproof plastic, and has been sewn into a totebag with a solid black material for the outside and strap, with a fun, bright pink and white flower patten for the liner and the underside of the strap. The strap is short enough to wear over one arm, like a tote, but long enough to put over one shoulder and under the opposite arm like a messenger bag. Sarah Orton is a graphic design student in North Carolina. Her flair for design stems from a lifelong interest in crafts and her pieces demonstrate a fun spin on a contemporary sense of style. Encouraged by the requests she’d begun to receive from fellow employees and friends, Sarah decided to combine her creativity with her business sense, and Simply Said by Sarah was born. Each piece is handcrafted and unique, and is sure to add a tasteful touch of originality to your home! "NEDA is dedicated to expanding public understanding and prevention of eating disorders and promoting access to quality treatment for those affected along with support for their families through education, advocacy and research"
Millions of women, men, girls and boys suffer from eating disorders. Eating disorders are illnesses with a biological basis. They are very serious, life-threatening illnesses and currently there is no cure. Help is available and recovery is possible for these sufferers. Every donation counts. 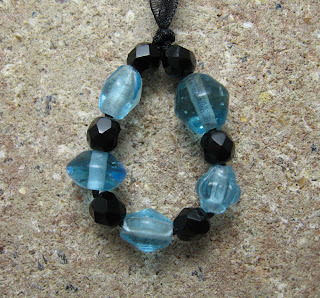 EarthCharms offers jewelry and other accessories made with natural stones, adding a strong emphasis on the metaphysical properties of each stone. Wonderful for personal use or gifts, the items you buy here are intended to bring luck, health, and prosperity into your life! -Quartz - Amplify positive power. Key words: Power, amplification, enhancement, luck. I always say I love beads and jewelry beyond just being "sparkly" because of their history and meaning, and she does a wonderful job of proving that. 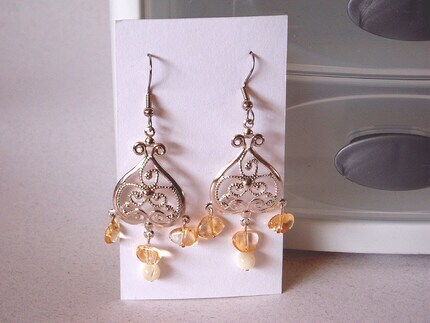 I also love these earrings. 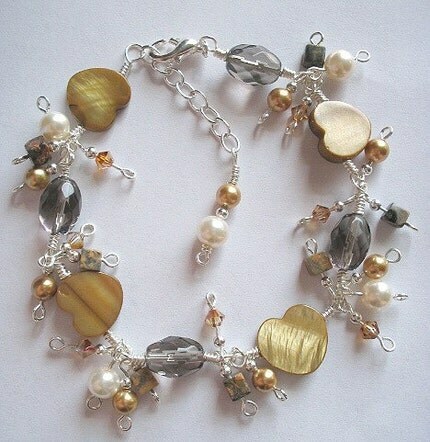 They are made from shell and citrine. 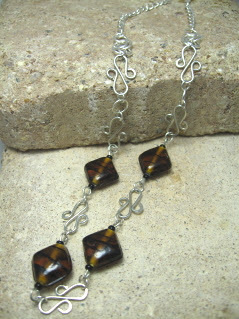 If you want to read about the properties of this item or these stones, you can visit her Etsy shop and read her listing! Be sure to go check out my Etsy shop, as well as other fellow Etsy Texas Crafters to stock up on stocking stuffers (say that 5 times fast). For my shop, you'll get 15% off, or if you visit my homepage (www.sparklystrandz.com), you'll get 15% off there by using coupon code PROMO15 when checking out. Mary from Florida is the artist behind Etsy shop DreamON. Being an artist from the time she could hold a crayon, she now cherishes the time she gets to spend doing art. Whether it's watercolor, acrylics, mixed-media, collage or whatever. She feels like she's been wired with an "Art Chip". She always loved to cut, paste, paint and draw from her earliest memories. Mary says "Creating art is what I do, it's built-in by my creator, He enables me, and I love it." At least she knows who to give credit to!! As a general animal lover, and owner of two lazy cats, I love the print above. That looks about right for what my big fat orange cat does all day. I love the way she leaves it up to you as to what will happen as this scene carries out! I love this piece, too. It's a fine art piece that measures 11 x 15. I am in the process of decorating my kitchen with "coffee art", and I may have to look into this one to add. So go check out her shop and all her beautiful art and prints. And don't forget to go by and visit her blog (dreamsaboutart.blogspot.com) as well for info on her art, as well as features on other artists. 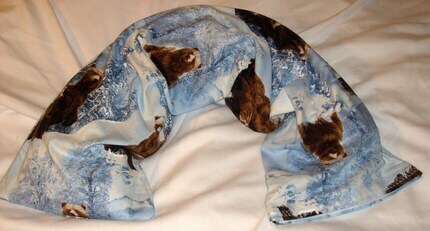 I'm proud of my new item that I've posted in my Etsy shop and added to my website in the Baby Boutique section. It's really pretty necklace that can be worn while feeding baby to give him something to play with other than pinching your arm or pulling your hair, and keeps him focused at the same time. 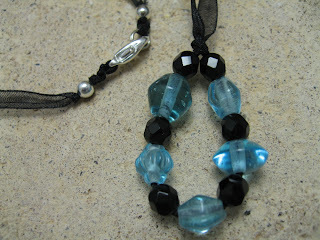 It's made with pretty organza ribbon and glass beads, and the loop is knotted in one continuous piece to prevent the beads from being able to break off. 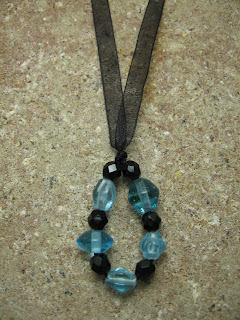 The necklace is made in a little longer length than average (about 20") so that baby can reach it, yet it is still light to wear. It has a lobster clasp closure. Today's featured artist is Corline. She is owner of Etsy shop MommyandmeBoutique. 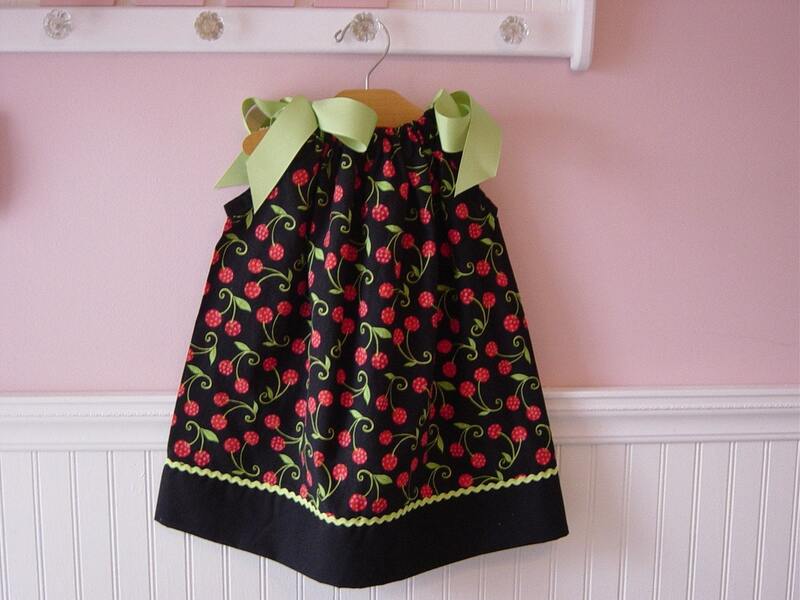 If her collections of adult and child aprons weren't cute enough, then there's skirts like these. I WISH I had seen this before my daughter's birthday party--it was a pink poodle/French theme and this would've been perfect. So go check out her Etsy shop. And don't forget to check out her blog as well. 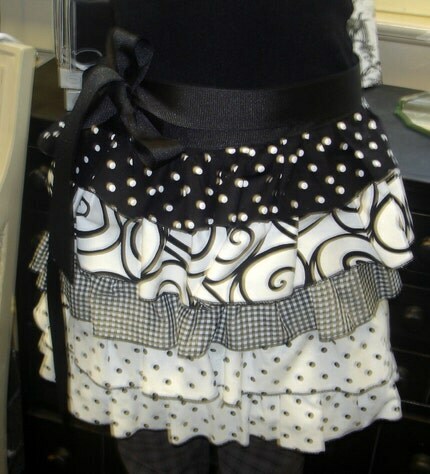 You'll find all sorts of goodies such as adult/child aprons, baby items, blankets, amd more. At Kreative Mindz, you will find some awesome handmade goodness...from Goddess Hair Wraps to Wooden Boxes...their mindz are always crankin' out new ideas! They LOVE doing custom pieces for people...it makes what they do even more enjoyable! Check their profile for complete custom order details and much more! KreativeMindz is a company started a few years ago by Aly and Beau (a husband and wife team, supporting each other through love, laughter and creativity). An-G is one of Aly's best friends, who is a wonderful seamstress and enjoys sewing in her free time, when she isn't being a vet. Aly stays home mostly with her 2 children (9 and 2), her husband and best friend, their 3 dogs and a cat. As someone that stays home with my 2 kids (ages 2 1/2 and 15 months), I understand how busy this can keep a mama. Aly tries to sew on a daily basis, even if it's only 15 minutes. She has been making clothes for many, many years (15 to be exact), and first started when she was 15 and made a patchwork skirt by hand for a show she was going to. As she got older she bought a sewing machine and began making clothes to support her traveling and music habit. 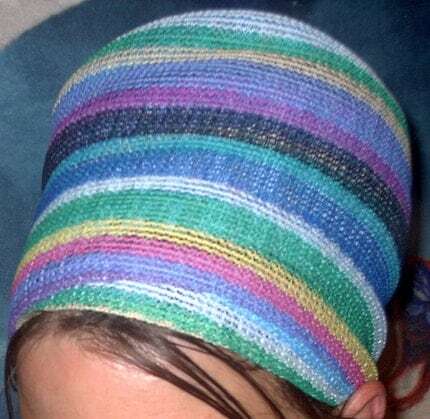 Their hair wraps (seen above) are named Goddess wraps because that is the way you will feel when your hair is all wrapped up in beautiful fabric! Whether you have short thin hair or big phat locks, this wrap is so versitile anyone could wear it! Established in 2005, the Sweet Irie name came about from the newest addition to her family; her kitten, Irie. Her name means, supreme joy; quite fitting! She is the light of her life and the inspiration for her jewelry, as she likes to help her work! Although she admits Irie isn't much help. I know what she means, my cat Cheerio loves to sit on my desk while I work and just stares at me like beads and/or crochet is ancient Chinese kitty torture. Irie loves to play with the jewelry and balls of hemp she uses; stringing it all over the house (again, I understand b/c Cheerio carries around yarn like it's his baby). Needless to say, she now has her own stash of 'toys' lying around. 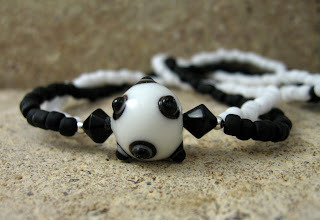 Just as well, she has since moved on from making hemp jewelry and creates the beautiful handmade beaded designs you will see throughout her store. Her jewelry is absolutely beautiful. Plus, she's having a mega sale right now. If you buy any two items, you get the third for FREE!! If that's not incentive to go check out her shop, I don't know what is. Staci was born in Portland, Oregon on February 4th in the middle of a blizzard and has been a force of nature ever since. She has been involved in the arts since she was five years old. She now lives in San Francisco and is busy expanding on her creativity. Staci is a self-taught artist and musician, and believes that every specially crafted piece she creates is intended for special individuals. I for one think that's important for an artist to feel that their vision for what they create is exactly what someone's looking for. Check out the earrings above. They are absolutely beautiful for fall/winter with their rich colors. And at $12.99 they are very affordably priced as well. She not only does jewelry, but her shop also contains items such as wine glass charms, Frames, paintings, and ceramic items such as this bowl. 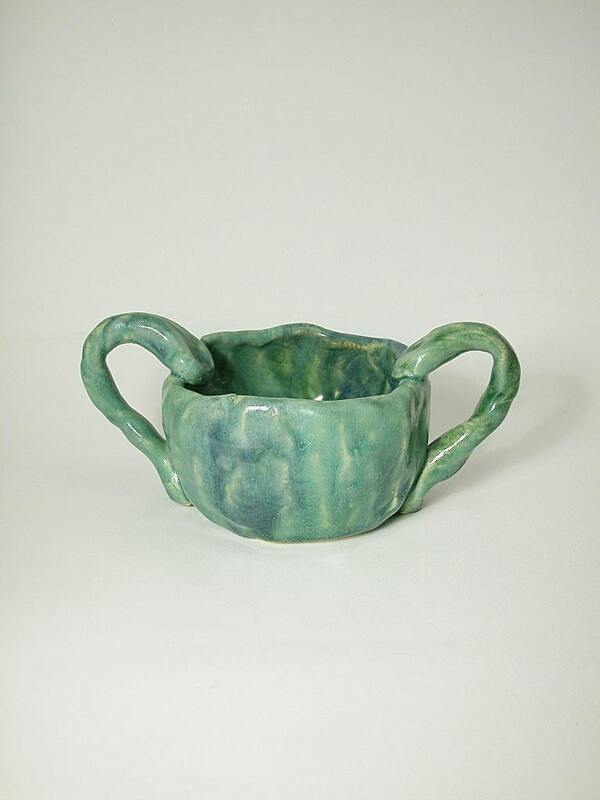 I wish I had the space and time to do ceramics. It always looks like such good therapy to be able to mold away and create something. Maybe I should do more polymer clay. You should go visit her shop for some great holiday gifts at reasonable prices. Don't forget to stop by her blog while you're browsing. EBSQ - an art collective. Meet Andee Harston, shop owner of Celtic Goddess Jewelry. Art has always been prevalent in her life. 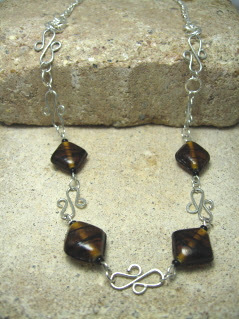 She loves to draw, paint, sculpt, make jewelry, and most recently, photography. She is influenced by spiritual learning, nature and goddess and celtic imagery, and identifies very strongly with her celtic heritage. She is a Buddhist pagan living in the Orlando area. 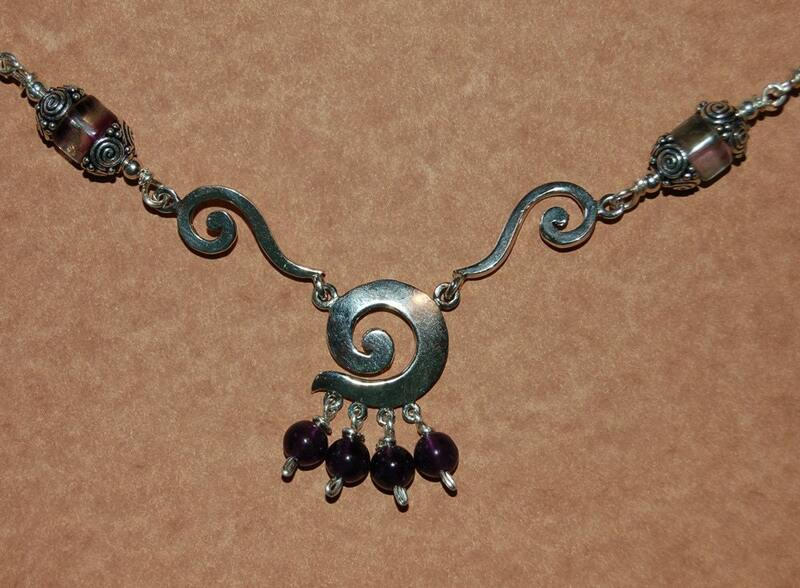 They specialize in Celtic, Pagan, and Buddhist jewelry. Recently she launched Sacred Waters Bath on Etsy, which offers soaps in unique shapes and scents, bath tea and soon to be more items. 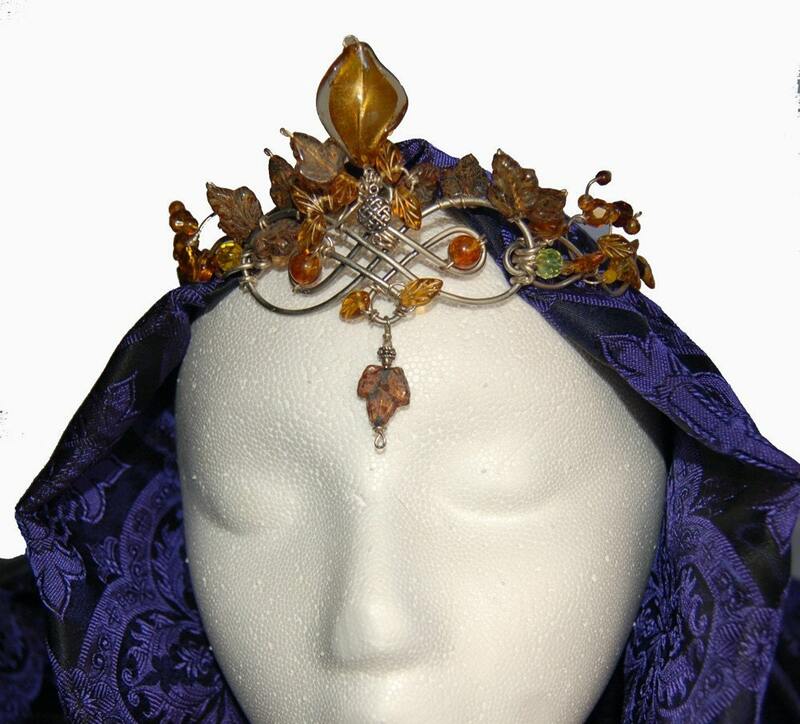 The beautiful headpiece above was constructed of mixed metals, pewter and sterling, amber, glass leaf beads and celestial crystal beads. The spiral is an ancient symbol, many have theories about what it meant, but noone REALLY knows...This necklace is all sterling silver, amethyst and purple flourite. Here are some new items added to my shop recently. 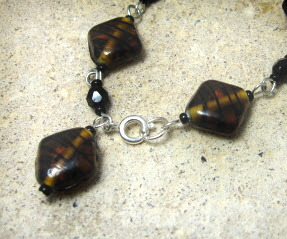 I love these beautiful tortoise shell beads. Stacey, creator of Elle Belle makes it easy to find handmade, boutique quality baby items that make being a Mom easier and more fun! She started it all when she and a few of her friends started making things for their own children and realized that even though they each only had one or two things they specialized in, colaborating was more fun and makes for a shop full of things they, and we all absolutely couldn't live without. Check out the darling pillowcase dress above. Each pillowcase dress features ribbon ties at the shoulders that create an adjustable fun style that your little girl will get lots of wear out of. They are constructed from easy care designer cotton fabrics and not actual pillowcases so that they can be proportioned to fit from newborns all the way to size 4. These versatile dresses are perfect for any season. Wear alone on warm days or with a shirt underneath when it's cooler. Great for matching sister dresses! And I have to promote these slings. I could not have done without mine, Although my son didn't really like being in it too much, I still wore him everywhere. 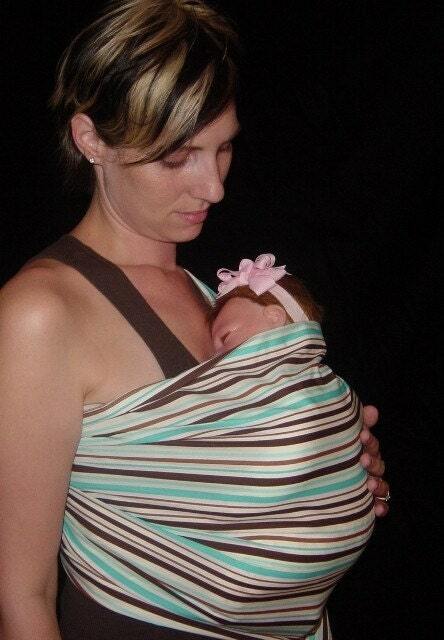 However 17 months later when my daughter was born, she LOVED being in that sling. I'd take her shopping, or just about anywhere with it, and it made it much easier to chase my son around at that point. I highly recommend getting a sling if you have, or will be having a little one soon. They are live savers!! Making herbal products is an absolute joy Tracy of Summer Sea Herbs, and her love of Nature comes through in her work! She is a certified Herbalist with over ten years of experience healing with herbs. She makes her herbal products with the finest organically grown and ethically wild-crafted ingredients available. Why Organic? Because she believes that her products are truly better when she uses ingredients which have NOT been irradiated, treated with pesticides or sprays, and that your body and spirit needs good, clean energy! Making every product with only organic ingredients costs a little more, but she feels it's worth it! 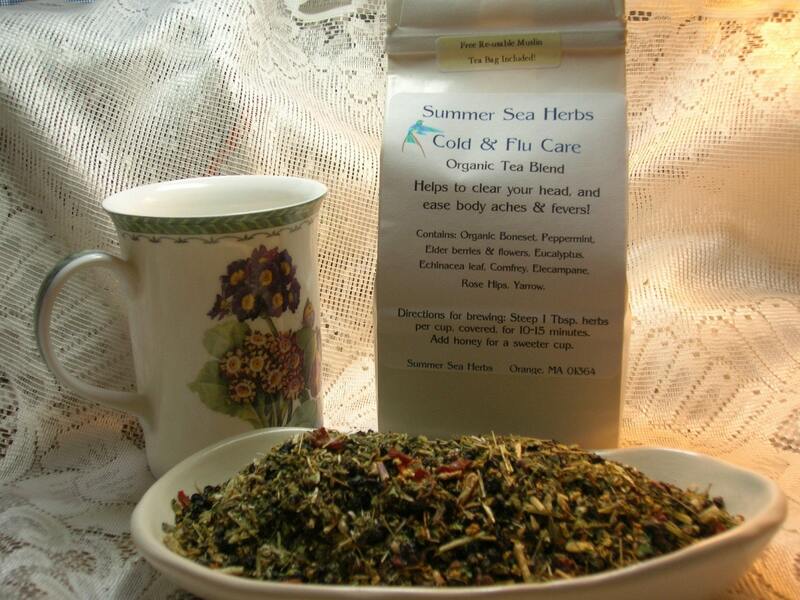 Summer Sea Herbs is a small company, and Tracy personally makes all of her products in small batches, by hand. This ensures quality control and product effectiveness. With many years experience as a medical Herbalist, and many more as a practicing Green witch, all her products are made with great care and skill. Whether you want a delicious tea or need an incense blend to assist in magickal workings, you can be confident that she has taken great care in blending your item. All her medicinal and magickal formulas are tried and true, developed from the personal needs of her community over the years. She keeps her product packaging to a minimum, re-usable and recyclable, to have a low impact on the environment. It makes her very happy to help people through the use of herbs! The herbal tea shown above that she has listed is something that we could all use this cold and flu season. I sure wish I had had me some before I got sick last week!! I'm finally getting over my mega cold. Plus, the proceeds of the sale of this tea goes towards a friend of hers to help pay for medical bills while she is fighting cancer. The item above is a base of 100% organic herbs and resin, this blend contains Star Anise, Rosemary, Copal and others. This blend is charged to help bring the Fortunate possibilities swirling thru the Universe to you. Use in rituals and spells to enhance good luck, and fortify those wishes. 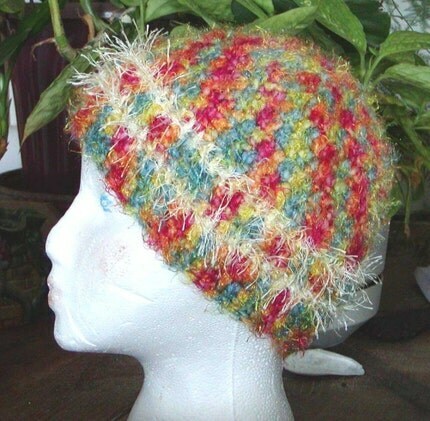 Meet Liz Staley, artist, designer, crocheter, and fellow Etsian. She grew up in Baltimore, but now lives in Greenville, NC. Her mom got her into arts and crafts when she was really little (she wanted to help her paint ceramics when she was a baby, so mama would give her a paintbrush, a cup of water, and a rubber ducky). Ever since then she has loved to draw and create things. 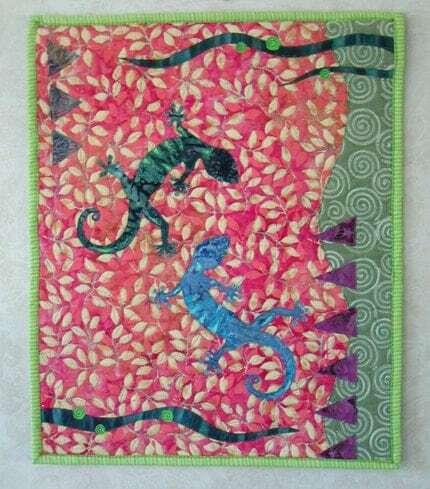 Now, she loves doing art, crocheting, and is getting into making ACEO cards and sewing. 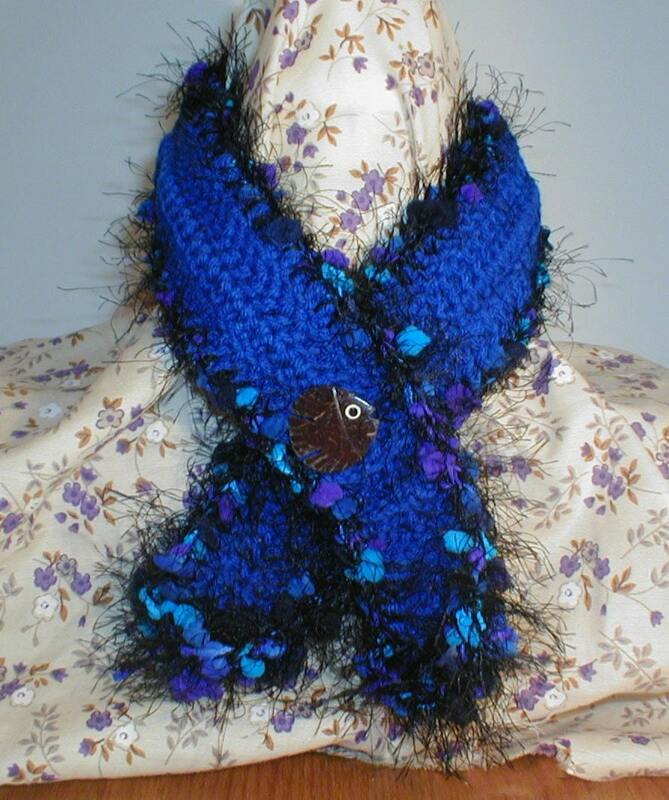 She's been crocheting and drawing for years, and also loves to make button pins. She admits that she tends to go on what she likes to call "craft binges", where she'll make a whole bunch of a certain thing, so if you see long stretches of buttons or crocheted items in her listings, you'll know she's been on one! (sounds so familiar--I tend to do the same thing). Check out the scarf above. Anyone who knows me knows that I loves me some fuzzy yarn. I've even started edging my crochet baby onesies in eyelash yarn to make them fuzzy and sassy. I wish it got cold around here for more than 2 days during the winter to wear scarves and hats all the time. You can find other fabulous things in her Etsy shop. She is a self-proclaimed nerd and makes all sorts of great geekery. 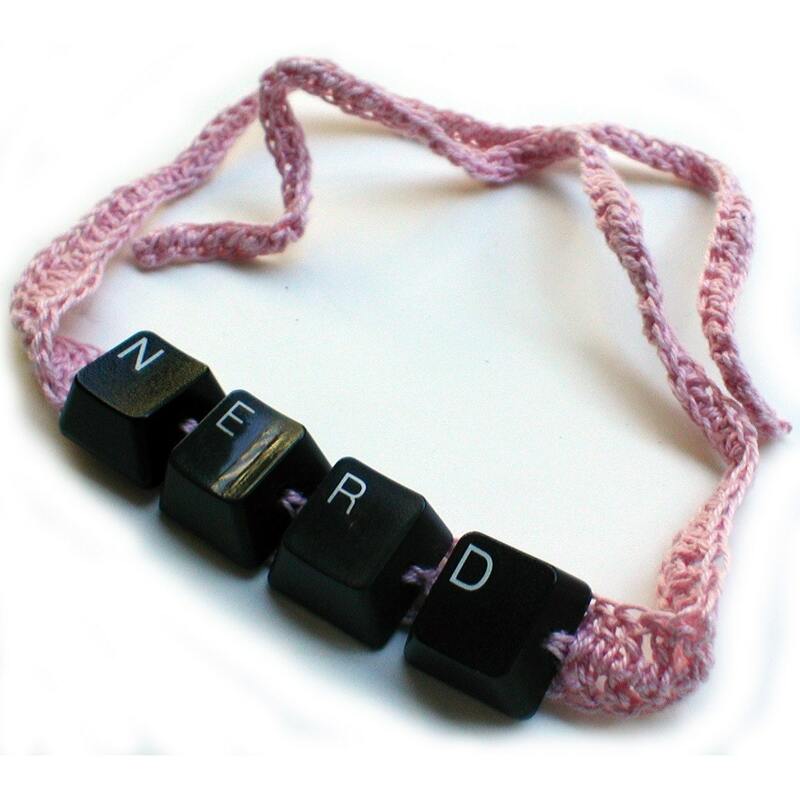 I love this necklace made from keyboard keys. 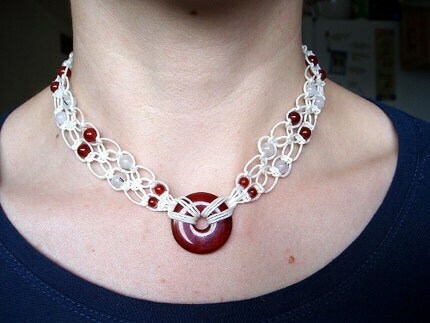 She apparently shares my love of combining crochet and beads (yes, I consider keyboard keys to be beads, I always say beads can be made from almost anything imaginable) to make this choker, and also PINK! So, go check out her shop, and don't forget to check out her blog while you're at it. Kellie Peterson of Etsy.com shop, Mineral Magic Cosmetics, is a Philadelphia based licensed cosmetologist. 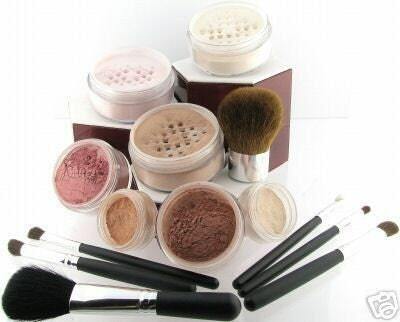 She takes great pride in her natural make-up line and offers a 100% satisfaction guarantee. I have switched over to her mineral type make-up and can vouch for how much better it is for your skin than traditional make-up. I absolutely love it. As a very fair-skinned redhead (but no freckles) with sensitive skin, I have always had trouble with foundations, but this one is AWESOME!! The coverage is great and it looks natural because it is all natural. It’s a light makeup that contains SPF to protect your skin from sun damage. In fact, it’s so good, you can even sleep in it and it won’t adversely affect your skin. But unlike other major mineral makeup brands, Kellie’s Mineral Magic Cosmetics do not contain Bismuth Oxychloride, a byproduct of lead mining that can cause skin irritation such as itching or break-outs in some women, and Kellie’s cosmetics are a fraction of the cost! Starting with the first photo on top is the super sized Mineral Makeup Gift Set. It comes with a 30 gram jar of foundation, 10 gram jar of blush, two 10 gram jars of eye color, a 5 gram jar of concealer, and a 6 piece mini makeup brush set plus carrying case - all packaged in a beautiful blue organza bag. As an occupational therapist, I love that Kellie has also included her son, Timmy, in her business. Timmy is nine and has Autism. She is teaching him about business and how to manage his money. So make sure to visit Mineral Magic Cosmetics and check out some of Timmy’s yummy smelly jellies, aroma ice beads and more! I have been making these darling little crochet onesies for a while now, but it always bothered me that I couldn't think of a good way to embellish them. I tried putting some Swarovski crystals across the front for a little "bling", but it just wan't enough for me. So, I found some scrap eyelash yarn laying around and edged a onesie I had made with it. VOILA!!! I love the results. The yarn I use for the onesies is already super soft, and now the eyelash yarn makes it so silky soft and adds that touch of sass I was going for. I am very proud of them now. You can visit my Etsy shop, or Sparkly Strandz to order whatever color you want!! 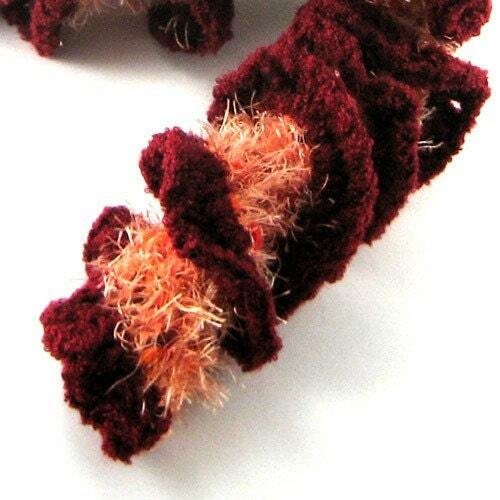 I have a red one with red eyelash yarn trim, and black buttons that looks like a little baby Santa Suit. You have to check out my baby boutique by clicking here. Don't forget about the little "blinged" baby nail clippers. Just what every baby needs. 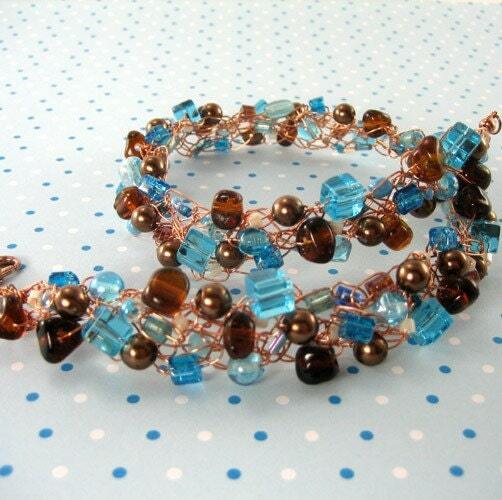 I've added a few new items to my Etsy shop. 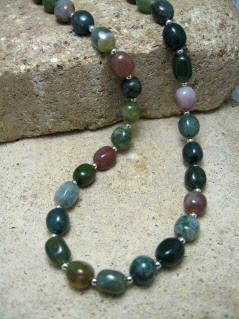 You can click here to visit my shop in general, or click on each picture to view that specific item. Enjoy shopping, and remember that I have free shopping now through Christmas. 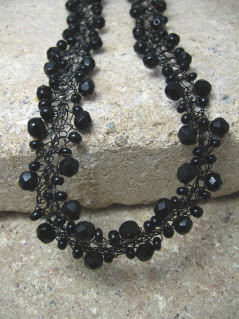 If you see something you like but want it in a different color or length than what's posted, don't hesitate to contact me to make it what you want, or you can visit my Sparkly Strandz Website to have fun creating your own piece of jewelry by choosing color, length, etc from the drop-down menus. Today's artist is Lauren, and she creates all of the crafts found in the Lost Mitten Etsy Shop. She is mostly known for her original video game craft creations made from plastic Perler beads, pinback buttons, embroidery floss/needlepoint, yarn, and any other materials she can get her hands on! I personally LOVE her shop and all the things she makes. I am, like, totally a child of the 80's and practially babysat myself by playing the original nintendo and atari games for hours. Ms Pac-Man, Mario, you name it. Ok, I still like to play those games on my old school gameboy when I have the chance. I had to put this ring up. Gotta love the green 'shroom. I also make rings that are for sale in my shop, but mine might be considered a little boring compared to this!! 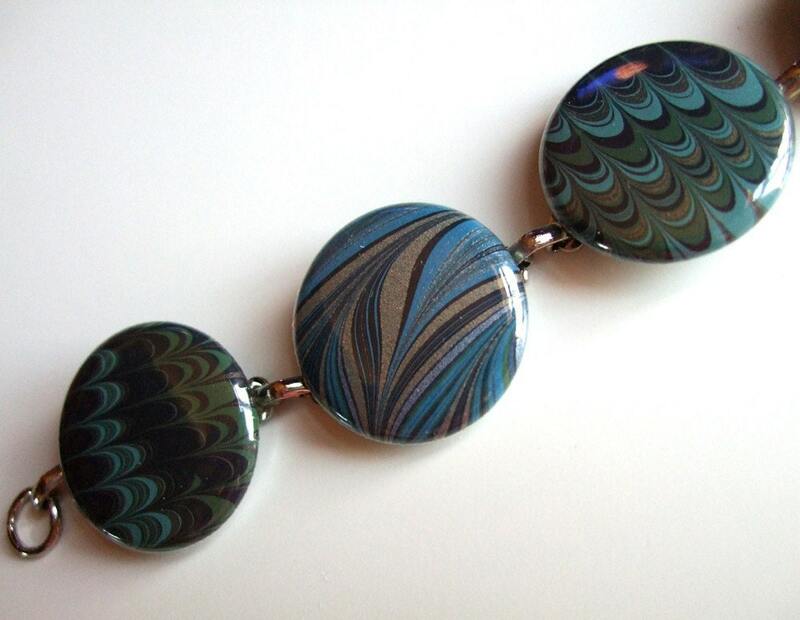 Since I'm still on a button kick, I wanted to post this bracelet. 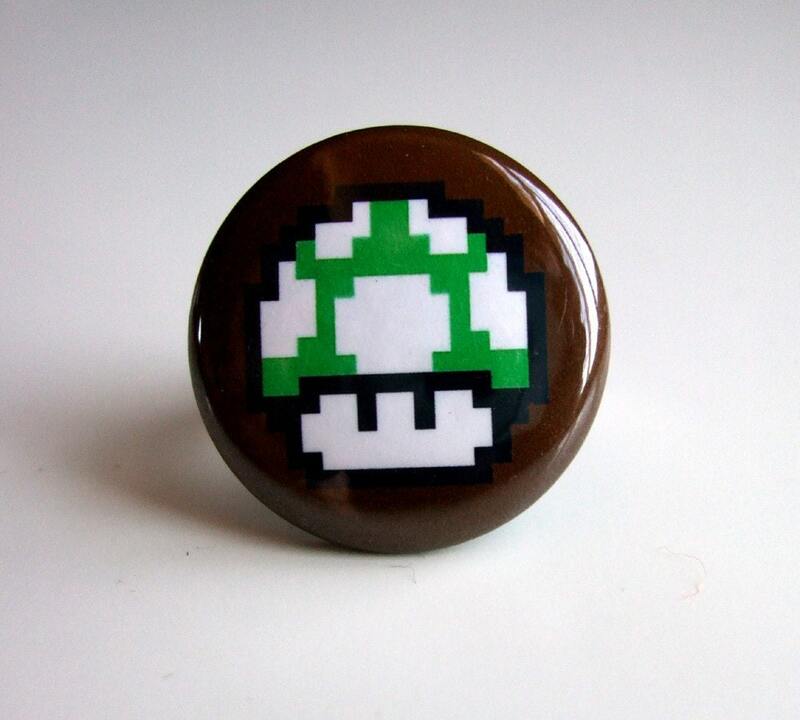 It's made from 1" buttons, and has a great retro look to it. Plus, as I've mentioned before, I love swirly things!! You can find this in Lost Mitten's shop for $10. Go visit Lost Mitten's shop to browse through a great selection of whimsical buttons, card holders, magnets and more. Also, don't forget to go check out her blog. You'll be glad you did.